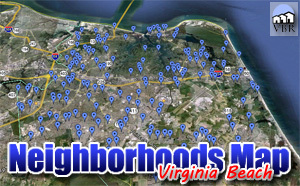 Looking to move to the Blackwater area in Virginia Beach? You really want to get away from all don’t you? Great! Blackwater is in very southern Virginia Beach. It is minutes from North Carolina. A nice relaxing area to vacation resides just across the state lined called Knotts Island! Shopping is almost non-existent. You are going to have to travel to get your groceries. Unless you create them on your land! As you have guessed, this is a rural area. It is slow paced and quiet. Homes range from the very affordable to the very luxurious! The yards are enormous! There is plenty of room for pets and livestock to run around. And the area is not far from Fentress Airfield. Nearby neighborhoods are Pungo, Eagles Nest and Indian River Plantation. The area is in the Kellam School District. Here are the Blackwater homes for sale! We have a page with all the homes for sale in Blackwater. Click on this button to see everything currently listed there. When you find a home you would like to see, please let me know! Call (757)589-1237 and I will arrange a showing! Or, on the property, complete the Find Out More form and click submit. I will get information to you right away!